One sales leader suggests using Instagram and advertising on Facebook. You try the exact steps given but you don’t see the same results. Then another leading sales agent encourages you to go back to sending postcards and having open houses. Your results after several months are still less than noteworthy. Others propose methods that have been “tried and true” for them, but you still do not see the same level of closings. What is going wrong? Are you just not cut out to sell real estate in today’s marketplace? Answer: You probably are not using lead generating tactics that complement your natural behavioral tendencies and personality. In other words, the suggested prospecting activities are personally awkward for you and it shows in your sales (or lack thereof). As a result, you are a misfit in real estate – but there is help available. Of course, there can be issues if you do not give a lead generating approach enough time to work (i.e. you have to try it more than twice), your work ethic is lackluster or the “winning” technique inadvertently is “missing” a few of the critical steps (hopefully that was not purposeful but there can be stiff competition in sales). If those are not your qualms, then check to see if you are working against how you are wired to sell. Have you ever seen a toddler try to place a square peg into a round hole? The toddler persists to the point of frustration (i.e. a temper tantrum) and then may move on to another toy, never to again return to the peg and hole. Or, the toddler may force the peg to fit, not realizing that the toy may become inoperable. Unfortunately, I have seen agents do the same with lead generation: They either force it to fit but it just does not work properly, or they walk away from it never to return. Both scenarios end in nerve-wracking, career-altering, confidence-shaking frustration. Understanding your behavioral personality (I like using DiSC for this, but there are others) and the lead generating activities that support your natural inclinations can be like finding the square hole in which to place the square peg. If you are the steady type (meaning you are introverted but someone who is very dependable and oriented towards people instead of tasks), you are doing a disservice to your business if you are cold-calling, which is more appropriate for those with dominant or influencer as their prominent traits. Instead, as a steady type, you should look to cultivate one-on-one relationships with people from your sphere of influence, social media networks, past clients, vendors, and even other agents (who can refer business in times of illness, bereavement, travel, holiday, you name it). Those with dominant traits who are extroverted and task-driven should focus on prospecting that allows them to track, quantify, and share results (e.g. cold calling, door-knocking, online ads, buying leads like with SmartZip, sharing monthly market updates through social media, mailings, or email campaigns). Influencers, like our beloved Chatty Cathys who are extroverted and people-focused, should seek lead generating activities that allow them to socialize. Some ideas include vlogging about their community, having open houses, hosting community fair booths (with titles like, Are You Ready to Sell?, How Much House Can You Afford?, etc. ), throwing client appreciation parties, and so forth. The conscientious folks (those who are introverted and task-driven, get the job done well but are put-off by crowds) would best serve their time by focusing on written marketing endeavors such as blogging, mailing postcards, or writing buying and selling guides to post on your website or mail. Tip: Keep in mind that many of us exhibit all four of the DiSC personality traits, but the key is to focus on the lead generating activities that mesh with your most prevalent characteristic. No matter your DiSC profile results, be sure to always ask for business. And as your business grows, hire staff and recruit team members who have different strengths/personality profiles, which will maximize the amount of lead generating your growing team can accomplish. Also, check out my upcoming free webinar series where I will discuss this further. In the coming months, be on the lookout for my scientific study and white paper that will provide a more in depth examination of the correlation between sales success and lead generating activities that complement one’s behavioral profile. By the way, follow me on Google Plus and Facebook for more tips and techniques. Here’s to your success! 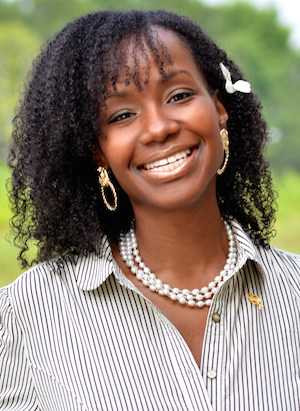 Lee Davenport is a licensed real estate broker, business doctoral student, trainer and coach. Learn more about the training and 1-on-1 coaching programs that she offers by visiting www.AgentsAroundAtlanta.com.